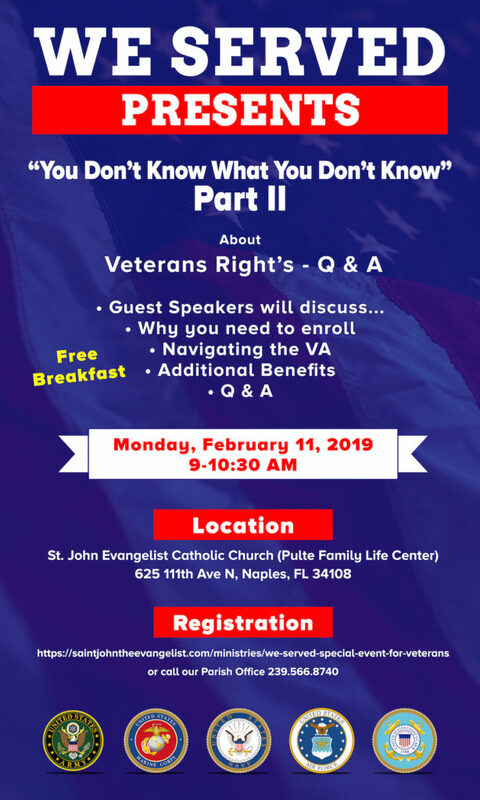 We Served, our monthly activity for the Veterans of our area, returns on February 11 at 9 AM with the follow-up to the extremely popular “What You Don’t Know” panel discussion on Veterans’ Rights. Please sign up below or call the office to join in! Family members are welcome.